Book Description: English Grammar: A1 Level is a practical guide for learning English. Fully written in English, it serves as a base for the adaptation to different mother tongues. This book forms a part of the series My English Skills. Starting from an Integrated Foreign Language Curriculum, we offer an eclectic system with a distribution of contents based on the Learning Objects. Books for Languages offers language courses with an Integrated Foreign Language Curriculum and a notional-functional approach. We offer materials aligned with the CEFR levels of language competence. This book is the Grammar part of the My English Skills series. Together with the other sections: Vocabulary, Orthography and Culture, they all create a complete English language course. Grounded on the system of Learning Objects, we aim for the courses to be flexible, easily adaptable and focused on developing all language skills. 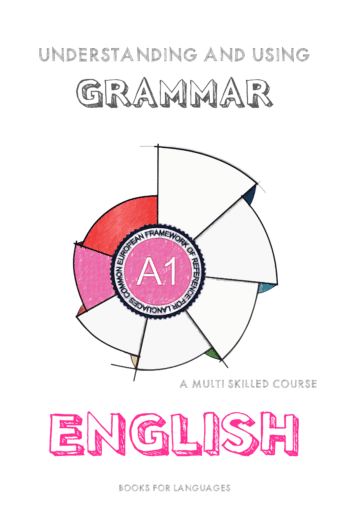 English Grammar A1 Level Copyright © 2018 by books4languages. All Rights Reserved. For a better understanding of the license, please read the full license.